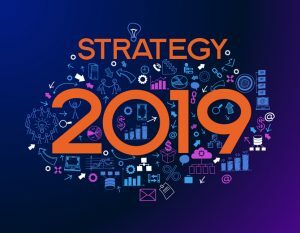 I hope you had a safe and fun New Year's celebration and are looking forward to having a super successful 2019. In doing my part as your trusted LinkedIn advisor, I'd like to share with you the very best resolutions for improving your LinkedIn profile and LinkedIn activities so that your efforts on the site can contribute (hopefully in a really big way) to your success this year. 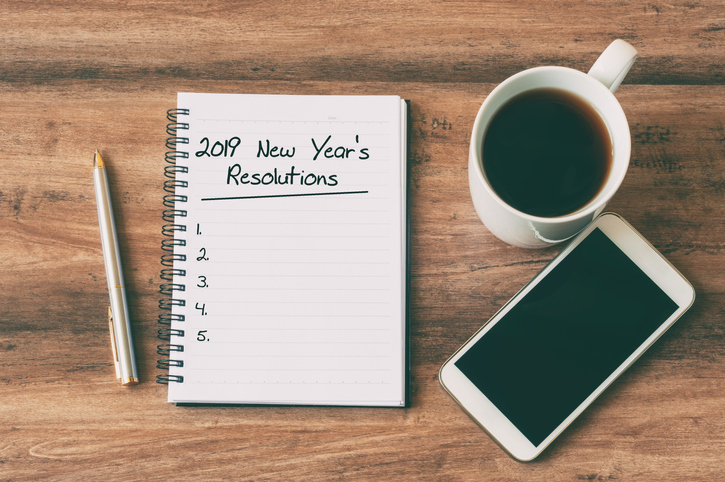 I have also included an additional resource for each of the resolutions in case you need more details on that specific LinkedIn strategy. I will make sure that my LinkedIn profile photo and background photo are current and properly reflect my personal (and company if applicable) brand. These photos are very important because they set the tone for the rest of your profile, where you can only include a few photos and limited graphics. So choose photos that display your professionalism and will make a great first impression when people view your profile. Additional Resource: "Picture Perfect: Make A Great First Impression with Your LinkedIn Profile Photo"
I will make sure my LinkedIn headline clearly states what I do and how I can help people. Are headlines important on articles we read—or don't read, for that matter? Of course, they are. So don't simply use the default LinkedIn headline (your current job title and current company name). Create a headline that will entice readers to look at the rest of your profile and then reach out and ask you to connect—and hopefully these relationships will lead to quantifiable results. I will properly keyword optimize my profile so the LinkedIn search ranking algorithm gives me the favor I deserve. 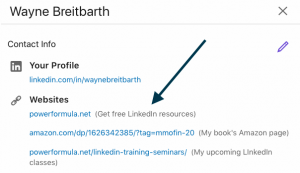 I do quite a few one-on-one LinkedIn consultations each week, and keyword optimization is the quickest way to get my clients to come up on the first few pages of LinkedIn searches for their products and services. It is not the only thing that goes into the magic LinkedIn algorithm, but it is the easiest thing to fix. Don't wait around to make this critical adjustment to your profile. Your competitors and the other candidates for the job you're looking for may be getting this advice as well. I will prepare for important "networking type" meetings by reviewing the LinkedIn profiles of the participants and doing a filtered search of their networks. LinkedIn makes is extremely easy to research people's career paths, what they're currently doing, what they're interested in, and who they know. Do some research beforehand, and then you'll spend less time getting to know them and more time learning how you can help them and they can help you (perhaps by introducing you to important people in their networks). I will always customize my invitation when asking someone to join my LinkedIn network. Remember, you're asking to be part of someone's treasured asset—their network—and you should be respectful and take the time to let them know that you'll treat them and their network with the highest level of professionalism—and don't forget to tell them how they'll benefit as well. 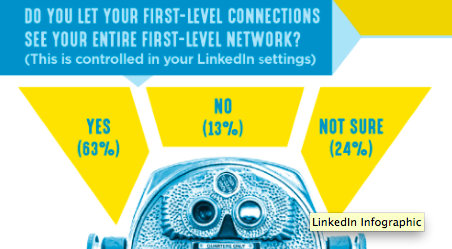 Additional Resource: Is LinkedIn Actually Hurting Your Chances For New Relationships? I will consistently review who has viewed my profile and take the appropriate steps to not only connect or message them but perhaps make a follow-up call, send an email, or schedule a meeting. Based on my most recent LinkedIn user survey, Who's Viewed Your Profile is the top rated Linkedin feature—and for good reason. They took the first step toward you, which makes it really easy for you to take the next step. 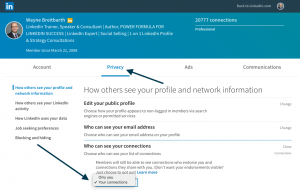 Additional Resource: Why Is It Important To Know Who's Viewing Your LinkedIn Profile? I will not simply hit the Accept button on the inbound invitations I receive that meet my acceptance criteria, but I will consider a follow-up call, email, and/or meeting. Just like the step above, an inbound invitation was initiated by the other party. Therefore, it's your move. Make it one that will have an impact on this new relationship rather than simply adding another body to your network. As far as I know, there's no prize for having the biggest network. What you really want is a robust network that will help you reach your business and career goals. 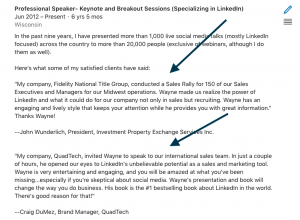 Additional Resource: Is Opportunity Calling You On LinkedIn? I will create a routine for finding and connecting with people in my target audience, and I will leverage the connections I already have. These two often overlooked LinkedIn strategies will help ring your cash register quicker that any other strategies. Trust me on this. 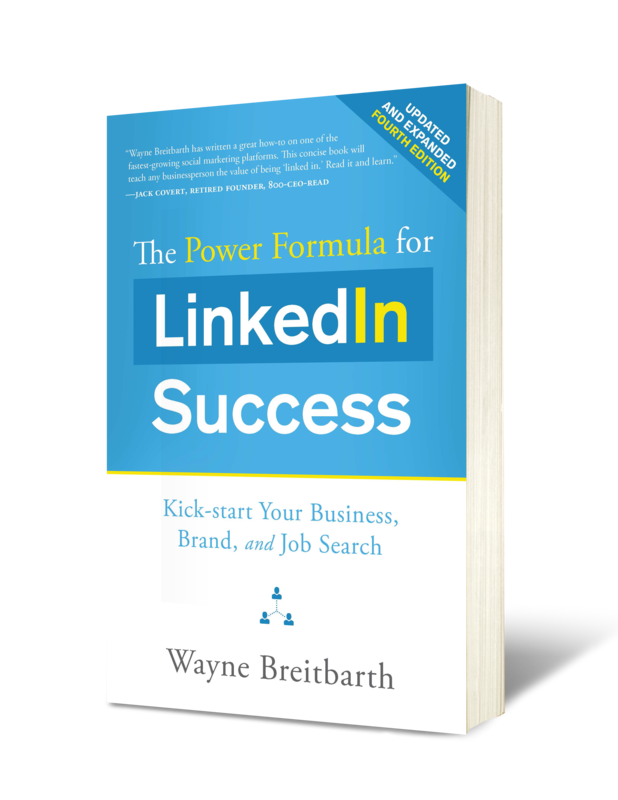 I know lots of successful LinkedIn users who get big time results by focusing solely on these two strategies. I will evaluate whether I should move from my free account to a premium account or if I should cancel or upgrade my premium account as soon as possible. I would say that between 50 and 75 percent of my clients who have premium LinkedIn accounts have no idea what they're getting or how to use the upgraded account. They're simply wasting their or their company's money on the premium account. There are others who need to be on a premium account but won't spend the money, and it's holding back their chances for significant results. You should figure out as soon as possible if you fall into either of these camps. If you'd like help with your analysis, sign up for a one-on-one consultation with me (see below), and we can discuss your needs. 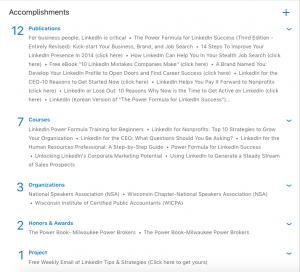 Additional Resources: What Are You Missing By NOT Paying for LinkedIn? 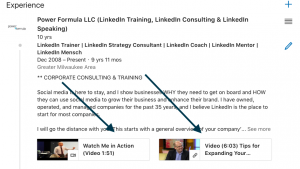 and Is LinkedIn Sales Navigator Worth the Money? There you have it—the very best LinkedIn new year's resolutions. Whether you do every one of these or pick and choose just a few, I'm confident that LinkedIn will help you achieve great success in 2019. If you'd like me to help you formulate your 2019 LinkedIn plan, sign up for one of the four to six personal sessions I fit into my schedule each week. These consultations are specially priced at $197. Book your time here. Direct message a targeted group of connections. 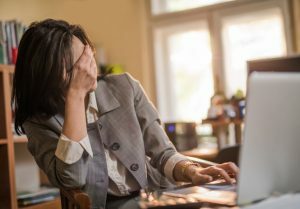 Too often LinkedIn users fail to communicate with their connections on an ongoing basis. Once you are connected, you have the opportunity to direct message people about changes in your business or employment status, new resources your company provides to people like them, or simply to say hi and ask if they'd like to get together sometime soon. 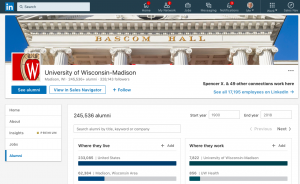 Advanced People Search feature and Alumni feature. 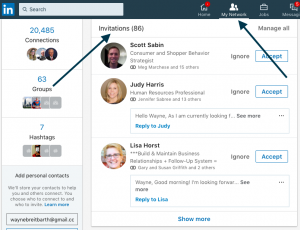 Use these features to access LinkedIn's 600 million profiles, and put together a great targeted list of people you'd like to meet. Then send them customized invitations to join your network. Are the Right People Waiting to Hear From You on LinkedIn? If you owned a retail store and a potential buyer entered your front door, would you ignore him or her? Of course not. Well, that's what many people are doing on LinkedIn, and then they wonder why they aren't getting any quantifiable results from using the site. 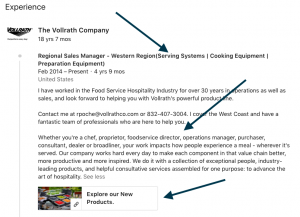 Think of your LinkedIn profile as your retail store. As with most retail stores, there's lots of competition for potential buyers and many different ways that people find out about your store before they waltz in the front door. But once they choose to visit, are you reaching out and saying, "Hi, thanks for visiting; how can I help you?" Trust me on this one—from my experience, most people aren't doing this. 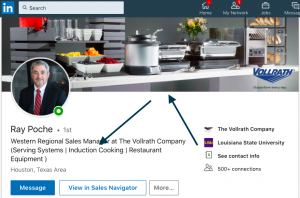 How to welcome people to your "LinkedIn store"
There are two easy ways to recognize potential customers or connections—Who's Viewed Your Profile and your inbound invitations to connect. Now, if you're not specifically in sales and are about to stop reading, please reconsider, because let's face it—we're all selling something. If you're not selling products or services, you're selling yourself or your organization every day. If you didn't have something to sell, you probably wouldn't be using LinkedIn. Here are my best practices for recognizing and approaching potential buyers, particularly those who are in your target market. View this list often, because if you're using the free account, you can only see the last five people who checked you out—and then only the information they've chosen to share with you. If their headline looks interesting, click through to view their full profile and ask yourself this question: Is there any information here (job experience, education entries, people you have in common, interests, etc.) that resonates with me or would help me to have an interesting conversation with them?" If the answer is "yes," invite them to join your network by using a five-star invitation. Don't be too quick to hit the Ignore button here—even if you've never met the person. 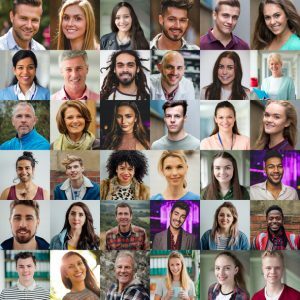 You don't know why they "walked into your store," so it's worth your time to figure out who they are and how you might be able to help them. It's best to view your inbound invitations from your Pending Invitations page rather than your mobile device, because you'll have access to a lot more information about the person. On your mobile device you won't be able to see what people you have in common nor can you respond to a message without inviting the person to join your network. Messages are also truncated, so you may miss something important if you don't take the time to read the full message. My article Is Opportunity Calling You on LinkedIn? will help you understand who to connect with and give you some examples of simple ways to respond when the right person has walked into your store. If you start executing these best practices, I'm confident you'll begin to quickly identify the hottest prospects and reach out in a way that will improve your chances of success. For more simple strategies to improve your LinkedIn ROI, along with a detailed critique of your profile, be sure to take advantage of my limited time offer: a one-hour, one-on-one phone consultation for just $197 (this is a significant reduction off my regular fee). Just saying that makes me hungry. I can't wait for turkey, mashed potatoes, and, of course, pumpkin pie with a generous portion of whipped cream. But in addition to hungry, the word "thanksgiving" makes me think of how thankful I am for all the people who have helped me throughout my life—and this includes you! Thank you for faithfully reading and sharing my weekly LinkedIn tips. 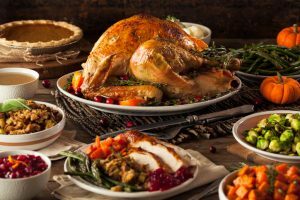 So, in sticking with the thanksgiving/gratitude theme, I thought I would highlight some of the specific LinkedIn features and tools you can use to show your gratitude to those nonprofit organizations that are important to you. These features are grouped by expected time commitment, from good (takes just seconds; one turkey drumstick ) to best (takes about ten minutes; three turkey drumsticks). 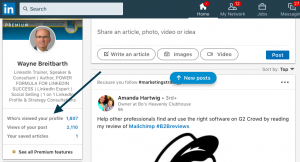 These actions will give your friends some LinkedIn love that will increase their exposure on the LinkedIn site but may also lead to your next great opportunity. Follow the organization's company page. "Like" one of the organization's company page status updates. 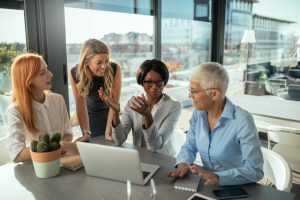 Connect with key people on the organization's staff. "Like" a status update or published post made by a staff member about the organization. 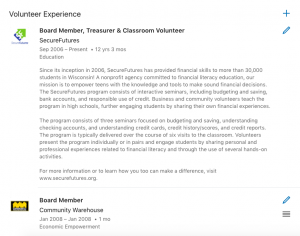 Add to your profile the special section Volunteer Experience and include not only detail about the nonprofit but promote the general cause as well. Engage in a conversation posted in a LinkedIn group by a staff member about an upcoming event or activity. Comment on one of the individual status updates or published posts from the staff. Comment on one of the organization's company page status updates. 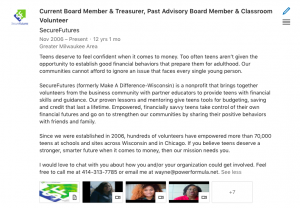 Share with your network some of the organization's status updates that highlight upcoming events or volunteer activities. In the Experience section of your profile, list as a current job your title and/or involvement along with the name of the organization. You then have 2,000 characters to explain the organization's mission, accomplishments, and needs. Add media to your profile to highlight their mission and programs. Include video, slide presentations or documents. This screenshot shows an example of how I've done this on my profile. 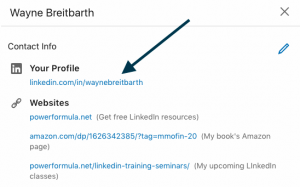 Use one of the three websites LinkedIn allows you to list on your profile for a hyperlink directly to the organization's website. Include in your Summary section a special paragraph to describe why this organization is important to you. These actions will give your favorite nonprofit some LinkedIn love that will increase their exposure—and it may help you as well. People will see your passion for organizations in your community and around the world, and people love doing business with people who help others. Because of all the changes taking place on LinkedIn, people are frequently asking me what they should be doing each day for maximum LinkedIn success. 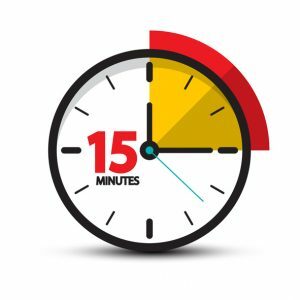 So today I'm going to give you a 15-minute daily to do list. If you want more help with time management on LinkedIn, you can find many of these daily ideas—along with weekly, monthly and quarterly to do lists—in one of the most popular chapters in my book, Ready...Set...Go: A Six-Week, Two-Hour-Per-Week Roadmap to Results. 1. Review Who's Viewed Your Profile and reach out to the people you should be meeting (3 minutes). Viewing your profile is the equivalent of walking into your store, so be sure to reach out and ask the person how you might be able to help him or her. This feature has some limits, depending on your personal settings and if you're paying for a premium account or not. Check out this article for a full discussion. This tab on the new LinkedIn desktop is awesome. It puts all the most relevant information about you and your connections in one convenient place. For a deeper discussion of this feature, check out this article on the Notifications tab. That's right—take a little time. Don't just quickly click Accept or Ignore. My suggestion is to first read all the messages that people took the time to write in their connection request and respond accordingly. Also, look at the profiles of the people you may want to follow up with, looking for areas of commonality or opportunity. Remember—these people took the first step, and it's your job to figure out what the next step should or could be. Of course, there will be people who attempt to connect with you that are probably spammers and others whom you simply see no reason to have them in your network. Don't hesitate to click Ignore in these cases. 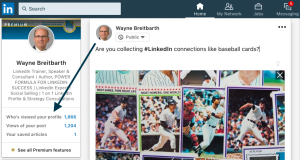 Are you collecting LinkedIn connections like you used to collect baseball cards? 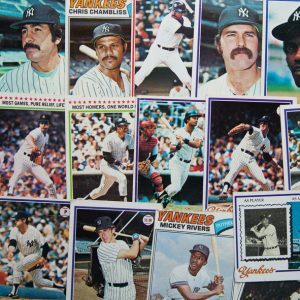 And are they just sitting there—like that box of baseball cards in the closet—gathering dust? Well, it's time to take action and use LinkedIn to maximize those relationships. Follow these six simple steps to create a win-win situation for you and your network. Your LinkedIn network is made up of many types of people, and they've become part of your network for differing reasons. Start by choosing the people with whom you'd most like to meet or have a conversation. For help with this, check out my worksheet Finding Your LinkedIn Target Audience (see below). Put your cursor into the Search box in the top toolbar. Then choose Search for People from the drop-down list. Next, click All Filters in the top white toolbar and check "1st" under the Connections filter. Then click the blue Apply button on the top right. Once you have completed a search that gives you a really good list of the right people, click the Create search alert box. Then each week LinkedIn will email to you any additional people who meet your defined search criteria. After you review the full profile of someone on this list that you're interested in chatting with, send a direct LinkedIn message and thank the person for being part of your network. If the person is merely a casual acquaintance, remind him/her how you came to know each other. Then mention ways you might be able to collaborate or help each other. You may even want to include a time that you're available for a meeting or phone call. The easiest way to send a direct message is to click the Message button on the person's profile. You can also include attachments and links in this message to give your connection additional information. Your connection may not be ready to meet or chat right now, but that doesn't mean he or she won't be interested in having a discussion with you in the future. Consider setting up some type of follow-up reminder for yourself in whatever system you use. Your LinkedIn network should be one of your most treasured business assets, not simply a "dusty" digital collection of random people. Once you follow the six simple steps outlined above, you'll realize just how valuable your network can be for accomplishing your most ambitious business goals. A company is no longer made up of anonymous people building one brand; rather, it is made up of many personal brands that are telling your one corporate-brand story in their own personal ways. This week I want to focus on how you can get your company's story in front of everyone who views your profile and sees what you're doing on LinkedIn. Whether you're a solopreneur or work for a Fortune 500 company, these tips will help you share your company's story with the LinkedIn community. 1. Maximize your profile headline, summary, job experiences, and banner. Unless you work for Harley-Davidson, Ford Motor Company, etc., don't assume people know what products or services your company provides. Use your headline, summary, and job experience sections to tell people exactly what you do—and use your most important keywords. Too many people simply list their company name and miss out on this tremendous marketing opportunity. Another great way to promote your company is to display their wares on your profile banner. To learn more about adding media to your profile, read "Here is a Really Easy Way to Spruce Up Your LinkedIn Profile." 4. Share Status Updates. LinkedIn power users consistently share company happenings, articles, white papers and expertise, and they also ask their network about potential new products and services. 5. Capitalize on the Published Posts feature. You can now share full-length articles. If you write articles that show your audience how your products and services address their needs, you will be positioning yourself and your company as thought leaders in your industry. 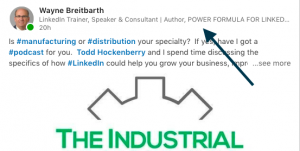 When you hit the Publish button, your article will be automatically shared with some of your connections, and it will be permanently displayed on your profile.